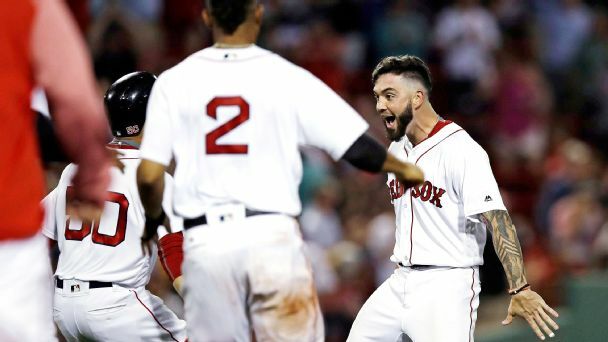 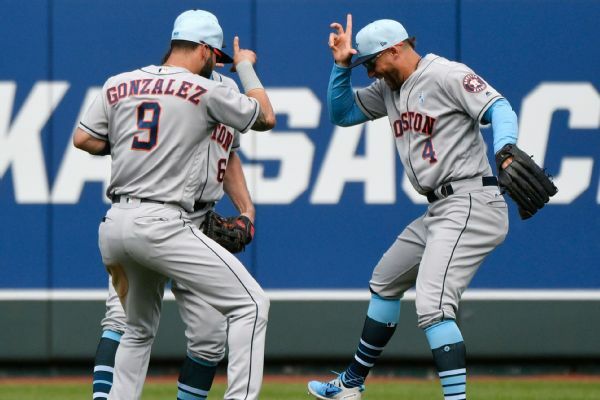 The Gurriel brothers gave opposing teams headaches Friday night, with Toronto's Lourdes collecting two home runs and two RBIs against the Rays and Houston's Yuli collecting two home runs and seven RBIs against the Angels. 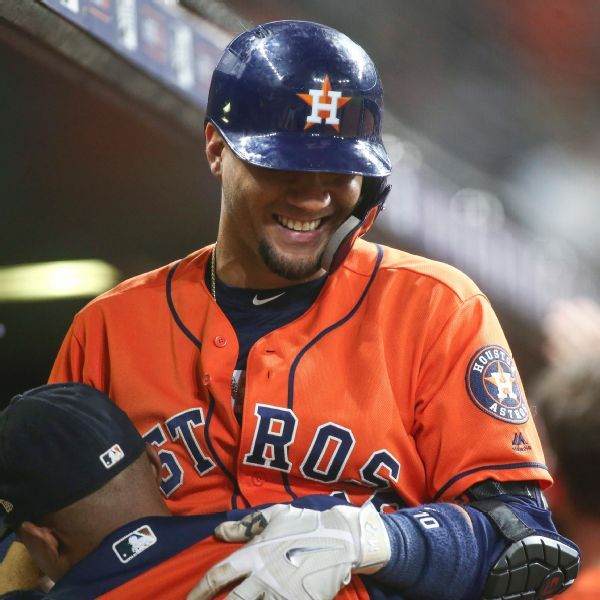 The Houston Astros activated first baseman Yuli Gurriel from the 10-day disabled list on Friday. 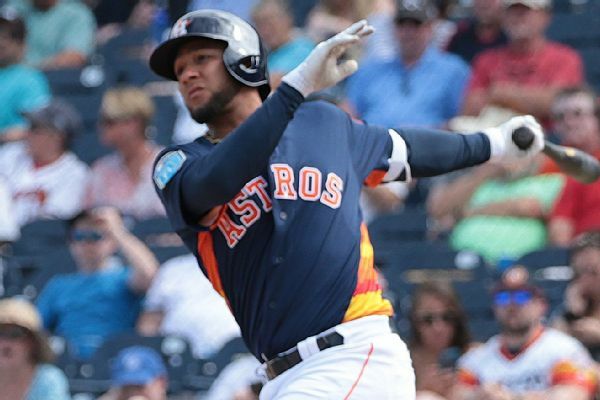 Astros first baseman Yuli Gurriel, who began the season with a five-game suspension and is still recovering from offseason surgery on his left hand, may make his 2018 debut on Friday. 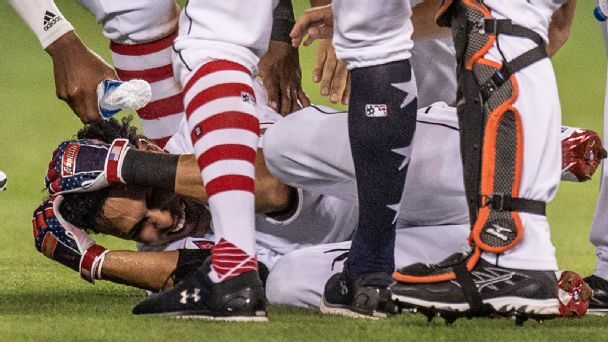 The Astros' Yuli Gurriel, who was given a five-game suspension during the World Series for an inappropriate gesture, will start the season on baseball's restricted list. 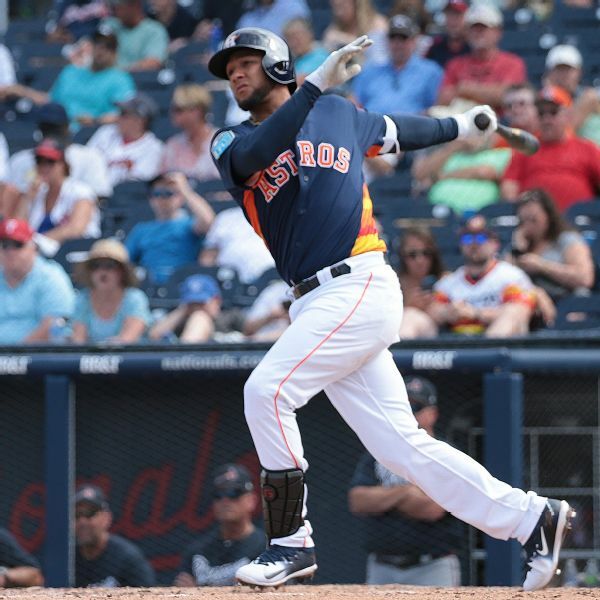 If Astros first baseman Yuli Gurriel continues to progress in his rehab from hand surgery, he could see time in minor league games in the coming days before rejoining the major league club, thus avoiding starting the season on the disabled list. 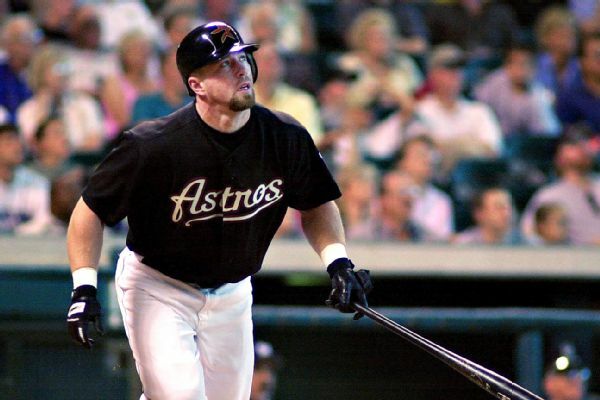 Jeff Bagwell played alongside fellow Hall of Famer Craig Biggio for years, helping plenty of Houston clubs reach the postseason. 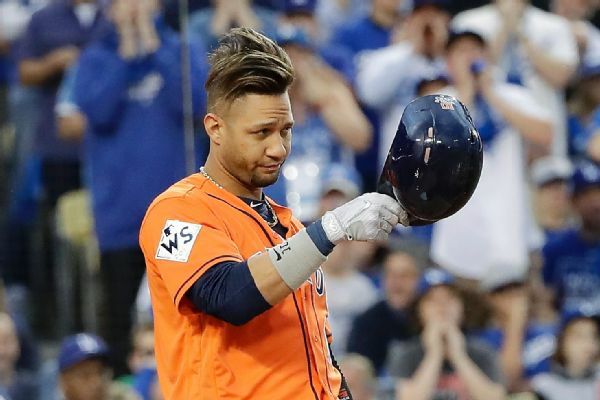 Houston Astros first baseman Yuli Gurriel had surgery on a bone in his left hand Wednesday, and will miss the start of the regular season.